Tennis no Ouji-sama Movie 2: Eikokushiki Teikyuu Shiro Kessen! When Kirihara is under hard pressure or his pride is being injured, he becomes extremely furious and 'devilish', as depicted with blood red eyes. He then unleashes a brutal assault on the opponent's body. He uses this technique on Tachibana and later on Fuji Shūsuke. However, this technique is completely ineffective against Kirihara's vice-captain, Sanada Genichirō, because of Sanada's incredible reflexes; Sanada himself says that if Kirihara trained for ten more years, perhaps he would have a chance against him. Three years ago, he heard that Rikkai Dai had won the last year's national championship and had an incredibly strong team, so he entered the school with the ambition to be the best. But as he says himself, My ambition was quickly crushed by the "Sannin Bakemono" (three monsters)! 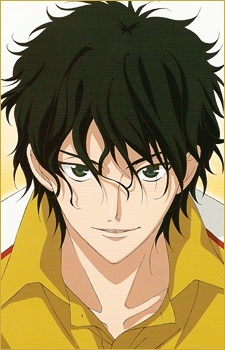 After that, Kirihara's new ambition became to defeat the "monsters" (Rikkai Dai's captain, Yukimura Seiichi, Sanada Genichirō and Yanagi Renji), and he became a regular on Rikkai Dai's tennis team following these events.